This post is sponsored by Mike’s Hard Lemonade. Opinions are 100% my own. We are trying to enjoy every last drop of summer here, and living in South Florida makes that a bit easier to do. Labor Day weekend is almost here and it is a big deal in my family. We always make sure to take off work that Monday and make plans with everyone. Sometimes we go away for the weekend, other times we all stay nearby… but whatever we end up doing it is always a BIG crowd! If you have ever soaked fruit in straight alcohol before, you know they taste pretty strong. (even if you add sugar to the mixture) I wanted a dessert that had the bite from alcohol and was a fun treat for adults, but I also needed it to taste really good! Mike’s Hard Lemonade is perfect since you can definitely taste the alcohol, but the fruit also takes on the delicious flavoring of the drink. The carbonation also helps the fruit to break down a bit, which makes it super delish. 1. Chop up all the fruit into small piece. I did the peaches in small squares, cut the strawberries and grapes in fourths and the blackberries in half. 3. Wait. Overnight is best, but after 4 or 5 hours the fruit takes on a good flavor. 5. Spoon some of the drink mixture on top. This boozy fruit mixture would also be great on top of ice cream! Also, if you have any leftovers… you can enjoy a blackberry sangria-esque cocktail! You can use any combination of fruit you would like, but I do recommend using fresh, not frozen, fruit. It takes on the flavor better. Do you have a favorite “grown-up only” dessert? I love finding fun new recipes to try… and I know this one is going to be a huge hit with my family! It is so good! Let me know how it turns out! um, YUM! those sounds amazing! 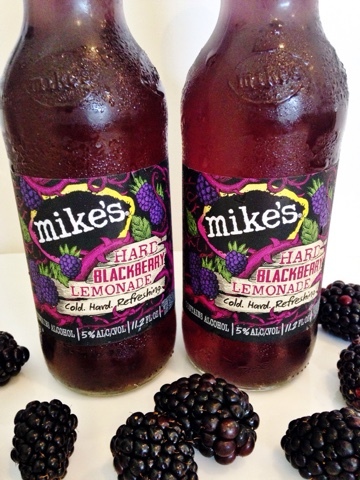 i actually recently tried the Mike's Blackberry Lemonade. OMG–it is SOOO good! Yes it is so good with the fruit, my husband was so impressed! 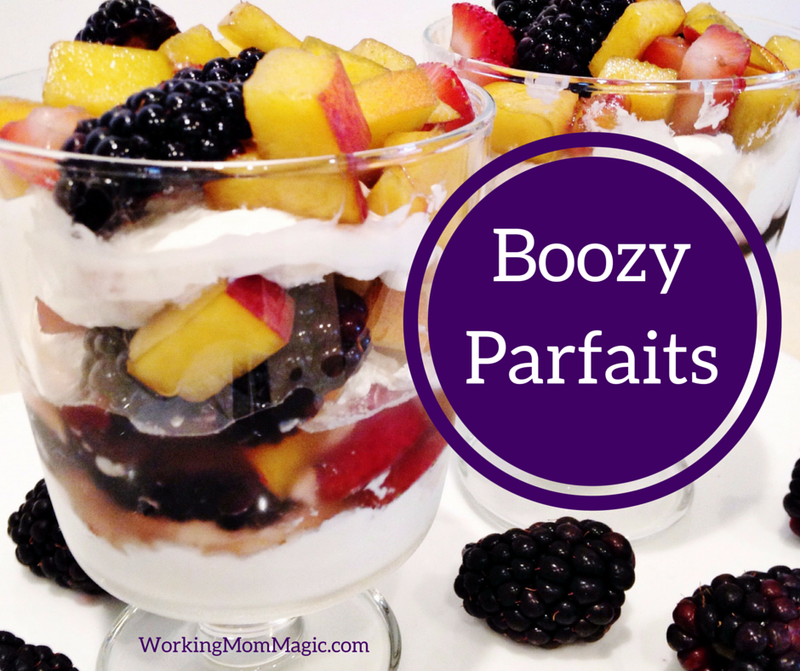 Boozy parfaits?! OH I am SO loving this idea!!! 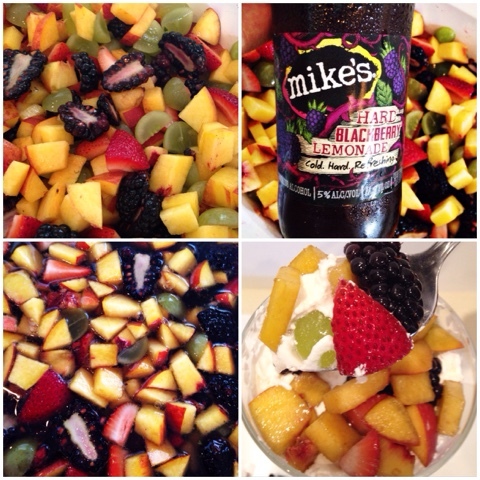 That Mikes Hard Blackberry sounds amazing! Yes it gives the fruit a nice alcohol taste.. but not too much. It still tastes good, which I want when it comes to dessert!! Looks AMAZING and LOVE the title! Yes we make bourbon slush and it's the bomb. All grown ups needs a little fun right?! I have never had a bourbon slush.. that sounds awesome!!! Yes it is so good!! 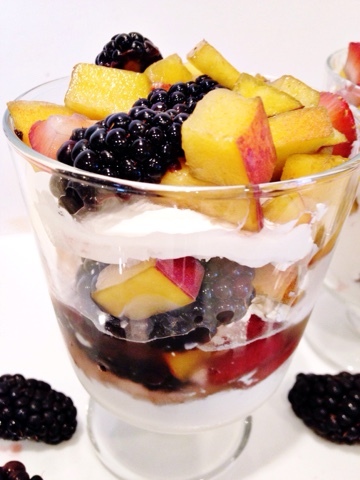 Typically I don't make boozy parfaits but, this sounds & looks so yummy! Oh my goodness – what a fun idea! such a fun idea for an adult brunch! Yes and you can use any kind of fruit you like! Looks good! If I wanted to make a smaller batch for the kids, should I just drench the fruit in sugar water?? hmmmm.. I think just a regular fruit and cool whip for the kids. looks good – fun while making them too! I am 150% confident my life will be better with these in my life! Oh what a great idea! These look soo good. Thankfully I'm almost at the end of my pregnancy, so I'll be able to try them soon. Well you can just skip the Mike's and enjoy some parfait goodness! 🙂 I hope you are feeling good! What a fun dessert! Mikes Hard Blackberry Lemonade looks really good. It is so good, the cherry one is really good too!! These are so pretty! And what a fun use of Mike's! Love it! Thank you! I love how they turned out, so yummy! Umm, delicious! Anything booze and fruit related you can count me in! I know! It was really good too, so refreshing! Wow that sounds fabulous! I can't wait to try it….thanks for sharing! Have a great week! This sounds amazing. Brilliant idea. I love the name. I had to click on your post out of sheer curiosity. Glad I did. Yummy! Cheer! This is such a fun idea. Kind of like sangria. This looks so delicious! Definitely gonna try it! Wow, this looks awesome. And that Hard Mike's blackberry lemonade looks great as well. Pinning this for future use. Thank you for pinning!! I hope you are having a great week! Oooh, wouldn't this be a fun idea for a Labor Day BBQ! I know it! Love a good labor day party! Hehehe I saw your scope of this deliciousness!!! Looks so yummy!!!!! Yes! I was so excited that something I made actually turned out really good! I had to scope it!! Boozy Parfait!!! I just love the way the name sounds!!! Haha it is a fun dessert for sure! Oh my yes!! Thank you so much for linking up to Merry Monday this week! I am sharing your post tomorrow on my FB page. We hope to see you next week for another great party! Have a great week! Thank you for hosting such a fun linkup! 🙂 I hope you enjoy the rest of your week! I am definitely pinning this! Thanks for sharing in time for the long weekend! Yum! Pinning this to try later. 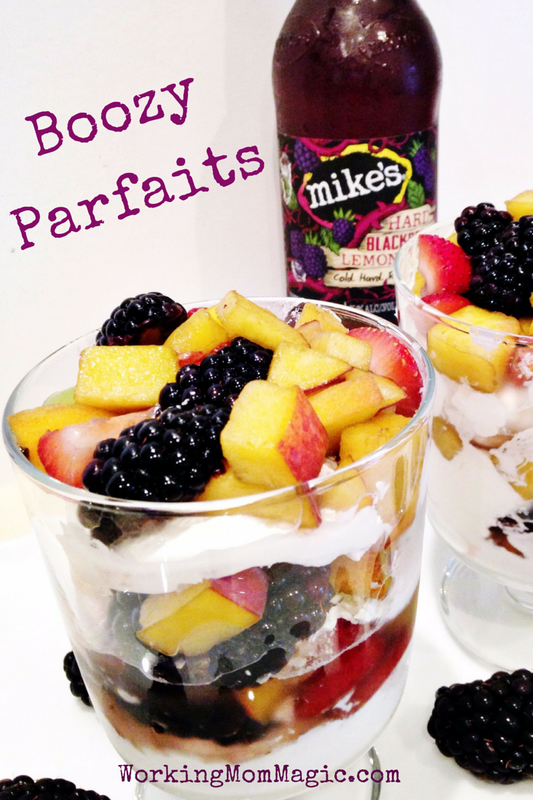 I love boozy parfaits. I have everything to make this except the cool whip….who needs the cool whip right! Yummy!